Love is a word most often used to describe a unique and powerful bond shared and cultivated between two persons. When the sentiment is shared between two souls, it can be powerful enough to withstand the strongest storms and keep the pair afloat after the strong winds and the last raindrop has fallen. When it comes to dating, a lot of folks often prefer to expand their options by dating Foreign Affair women. In doing so, they can potentially find the person they can spend their life with. On the opposite end of the spectrum, plenty of single Foreign Affair ladies are seeking the same connection. Perhaps the biggest hurdle for many is finding a way to communicate and meet these ladies in a safe and welcoming environment. Nevertheless, there are certain practices within the Foreign Affair dating culture that one should be aware of. In becoming knowledgeable in this regard, it ensures a smooth and pleasant interaction between both parties. Find your ideal soulmate in any of these ladies and meet them through one of our group tours. The great thing about this platform is that it contains a plethora of women from different backgrounds with varied tastes and personalities. Due to the broad spectrum, you will surely find someone that shares your values and beliefs. When partaking in Foreign Affair dating it&apos;s important to be aware of the proper behavior to present and the best way to approach single Foreign Affair ladies. In doing so, you avoid saying or doing anything that might offend them or discourage them from interacting with you. Listed below are some examples of appropriate dating culture. Take it Slow - Keep in mind that most of the single Foreign Affair ladies you will encounter are from Ukraine, Russia, Asia and Latin America. Due to this, be prepared to exert effort in winning her over, especially considering that most of these women prefer to spend quality time in getting to know a potential mate first before fully committing themselves to one person. By taking great care in getting to know her first, it allows for an opportunity to invest time and emotion in your relationship together before tying the knot. First Impressions Count - While the phrase may seem cliché for some, the first time you will meet single Foreign Affair girls is important. Since plenty of other eligible bachelors will be present, you need to make it count. Do not feel too pressured though, as being the most genuine you is always the best route to take. Nonetheless, it does not hurt to wear your best clothes, spray on a little bit of cologne, and project the best you there is. Be Polite and Respectful - It comes without question that politeness and respectfulness goes a long way. Like any other person, no individual wants to be treated badly or disrespected by someone they hardly know. It is important to always set proper boundaries and make them feel comfortable in your presence as much as possible. In this regard, communication is the key towards finding your footing and setting common ground. Express Your Commitment - Keep in mind that engaging in Foreign Affair dating involves a certain level of commitment. Ultimately, the goal of meeting and interacting with these ladies is to tie the knot and spend the rest of your years together. Following this logic, expressing your commitment towards your relationship will help in finding the most ideal partner for you and shows how serious you are about starting a life together as well. Tour clients are able to enjoy the company of single foreign women as they get to know them more during our socials. On the other hand, there are certain activities that you should avoid doing to prevent miscommunication among yourselves. In line with the proper attitude to set, here are the actions and attitudes that can put you in a bad light with these women and ruin your chances with her. Being Careless and Inattentive - Based from your own experiences, you might have gone out with someone that was careless with how they treated you and didn&apos;t pay much attention to the things that were important to you. When this occurs, you tend to feel unimportant in their eyes and like you were being taken for granted. The same logic can be applied here as well, as being in a relationship goes both ways. Setting Improper Expectations - As aforementioned above, the goal of engaging in the Foreign Affair dating experience is to find your lifelong companion. Since this goes both ways, these ladies prefer men that are honest and can set the right expectations on where the relationship is going. Like most aspects of dating, being open to communication is important to avoid having misunderstandings with regard to your time spent together. Assertive Sexual Advances - These ladies like to get to know a potential partner firstbefore expressing commitment towards you. When you show a sense of urgency in terms of presenting assertive sexual advances, it can put you under a very bad light. Like any other woman, they want to be treated with respect and not as mere sexual objects. Always remember to acquire their consent first, before engaging in any physical act. Financial Instability - While Foreign Affair women are independent people with their own careers and personal life, they seek a partner who is their equal in nearly all aspects. Being financially stable shows you have a good character and can hold down a job to support a family in the near future. Having stability is good because it portrays a bright future together and provides a high level of assurance too. Put your best face forward and find your best match during our group tours! 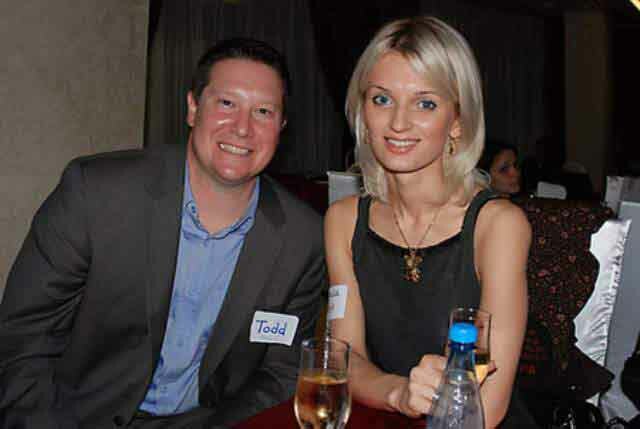 At this point, you might feel ready to begin engaging in the Foreign Affair dating experience. However, feeling uncertainty with how it should go or which activities to partake in is normal and somewhat expected. If you don&apos;t feel quite sure on how to approach the matter, here are some tips on how to date single women. Wine and Dine - Perhaps one of the easiest ways to get to know someone is by going out to dinner or lunch with them. Going someplace fancy is not a necessity, although it shows the value you place in your time spent and how invested you are with her. Engaging in conversation over a nice bottle of wine and scrumptious food is a great way to start. Plan a Trip Together - When you sign up for a dating tour with Foreign Affair women, you also get the chance to visit the best places in other countries. Take this as an opportunity to explore nature at the many beaches or mountains a foreign country has to offer. Alternatively, visiting various urban locations is a great substitute if your partner prefers going out within the city instead. Meet her Family - These ladies place a lot of value on their family and the approval of their relatives bears a lot of weight on your relationship. After the first few successful dates, it&apos;s a good idea to propose meeting her parents and close relatives. Getting to know them is a great stepping stone towards becoming accepted within their family as your relationship progresses too. Remember, the first few dates you have with her sets the tone of your relationship. Keeping an open mind, being expressive with your intentions, and being imaginative with the time you have is most ideal. In doing so, you create a strong foundation for a future together.